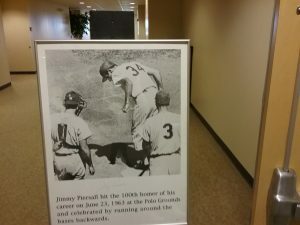 After praying with former baseball player, broadcaster and coach Jimmy Piersall, Wheaton Bible Church member Keith Lindley noticed that his neighbor kept his head down for a while after their prayer had concluded. Lindley waited for the outspoken broadcaster and baseball analyst, who found religion later in life, to share a prayer request or a question about the Bible. The always unpredictable Piersall was remembered as a fighter, winner, mentor, champion for mental illness and someone who always gave 100 percent in whatever he did by individuals who spoke at a memorial service for him held Friday at Wheaton Bible. 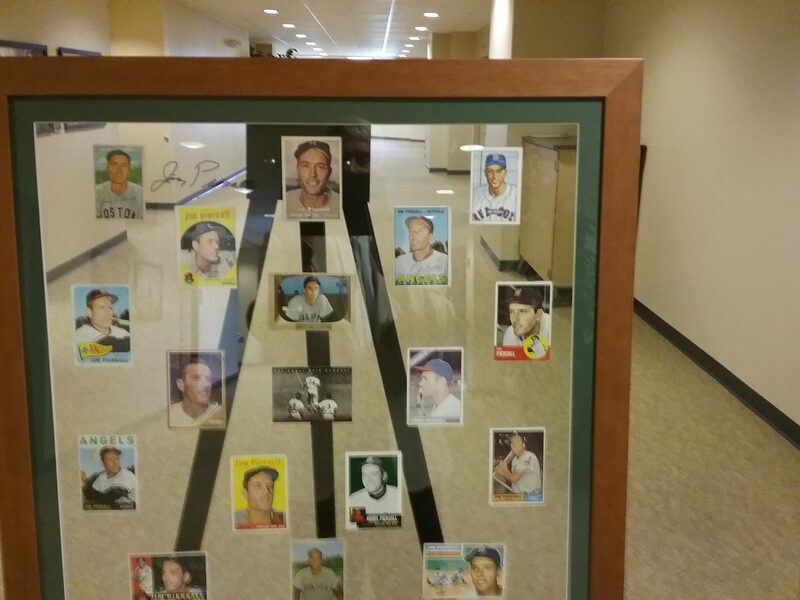 Piersall died June 3 at the age of 87. Coincidentally, Friday marked the 54th anniversary of Piersall running backwards around the bases at the Polo Grounds in New York to celebrate his 100th career home run. A member of the Boston Red Sox Hall of Fame and the Chicagoland Sports Hall of Fame, the two-time All-Star was a golfing buddy of President John F. Kennedy. Longtime friend and fellow Chicago broadcaster Tom Shaer said Piersall’s personality overshadowed his baseball ability. “Many people do not remember how good a player he was,” Shaer said. Piersall, who played 17 season in Major League Baseball — and was a mainstay in the Boston Red Sox outfield for most of the 1950s — is one of only 20 individuals to play at least 1,000 games in the outfield and have a .990 or higher fielding percentage. He is the only one of the 20 to break into the Major Leagues prior to 1963 when rules were changed to allow for outfielders’ mitts to be bigger and more flexible than earlier models. “His fielding percentage was better than Willie Mays, Joe DiMaggio and Mickey Mantle,” Shaer said. Piersall was surprisingly moved to shortstop during 1952, his first full season with the Red Sox, by manager Lou Boudreau. “He made a lot of errors and it led to his nervous breakdown,” Shaer said of Piersall. However, Piersall, committed to his medical treatment and with an ability to adapt, was able to make his way back to the 1953 Opening Day line-up for the Red Sox. During that season, he went 6-for-6 in a nine-inning game, which is still a Red Sox record. Piersall shined a light on mental illness with his book “Fear Strikes Out,” making it OK to talk about mental health issues, speakers said. Former Gov. Pat Quinn remembered Piersall as an energetic, enthusiastic player. After his playing days, Piersall became a broadcaster and was eventually teamed with Harry Caray on the South Side of Chicago. Quinn remembered watching the dynamic duo during a game Pablo Torrealba pitched for the White Sox. White Sox radio broadcaster Darrin Jackson was one of the many outfielders that Piersall mentored during his 14 years of coaching Chicago Cub outfielders. He said Piersall had a profound effect on him and other Cub outfielders like Rafael Palmeiro, Jerome Walton and Dave Martinez. 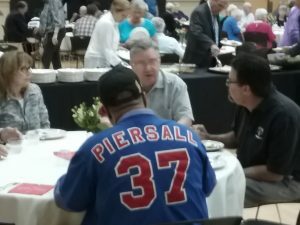 He remembered Piersall and his wife, Jan, having he and other players regularly come to a restaurant at the Cubs’ spring training site for a meal. He said it was evident that Piersall cared about them as players but also as people. “He wore his heart on his sleeve … . He had an influence on me by telling me to play the game the right way,” Jackson said. When Jackson got a broadcasting job, he sat down with Piersall to talk about the business. “He said, ‘Be yourself. Don’t let any of those bleepity-bleeps keep you from being yourself.’” Jackson remembered. Piersall was the first analyst hired by WSCR when the sports radio station was going on the air, Shaer recalled. Piersall’s grandson, Stephen Jones, remembered the baseball great loving to go fishing with his grandkids or to spend time with them in the park. Piersall was twice fired for his opinionated outbursts — by Channel 44 for his White Sox coverage and by the Cubs after blasting management.